It’s been ages since I’ve posted a personal update. I’ve been busy. That’s a good thing. Even though that busy-ness caused some stress, it was a good kind of stress, a stress born of progress and meeting deadlines. HellBound Books and I were able to get the new edition of No Rest For The Wicked out in time for my signing event in July. This was my second time taking part in Berkshire’s Blueberries & Books Festival. What a pleasure it was to have twice as many titles this year, too. I really enjoy this event. Not only do I get to talk about my own work, but I get to talk with other writers about their work. 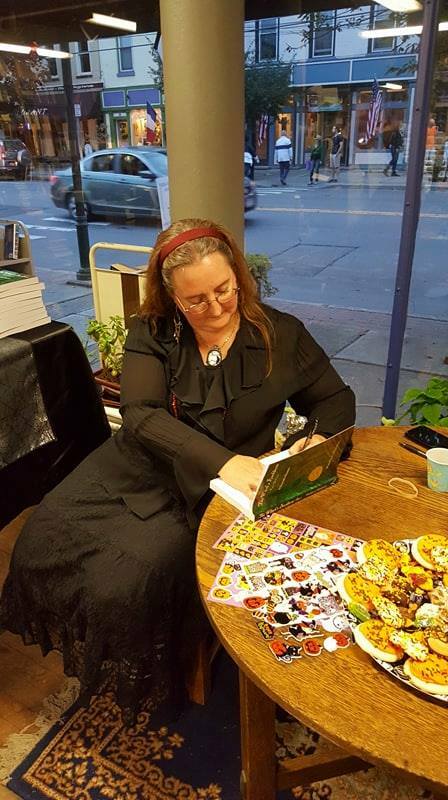 This year I was seated next to a lady who wrote a children’s book about NOT being afraid of the dark. We had fun with that all day, telling people I was trying to scare people while she was trying to get folks over their fears. I got a lot of repeat customers from last year, too. That’s always a good sign. I made my podcast debut over at The Unofficial Panic Room Radio Show to help promote NRFTW, as well. In August we took some vacation time. Our first wedding anniversary was on the 27th (and people said it wouldn’t last). Actually, no one said that, but … anyway. 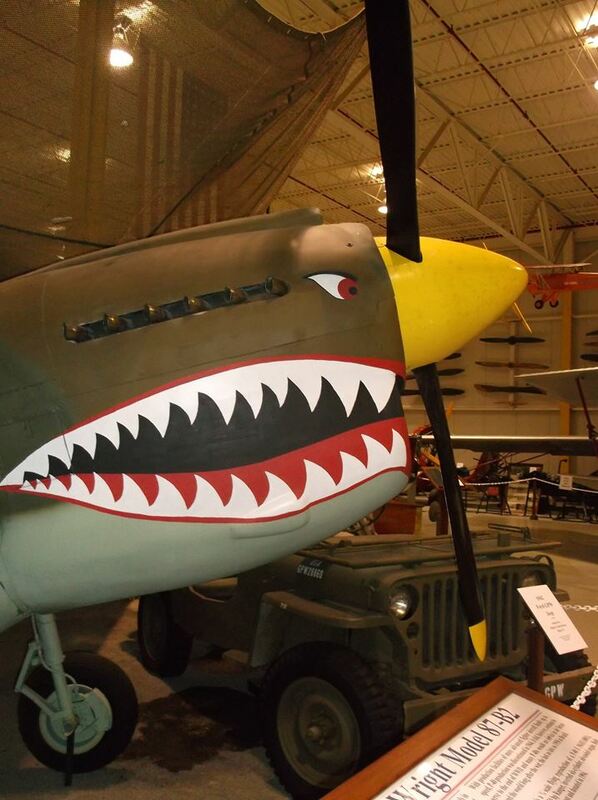 We managed to find our way to the Glenn H. Curtiss Museum in Hammondsport, NY. Planes, trains, motorcycles, and automobiles, plus some really cool items from fictional space travel to be seen (Star Trek, Lost In Space, etc.) Stopped for lunch in Hammondsport proper and went down to the lake front for a while, too. Very relaxing. 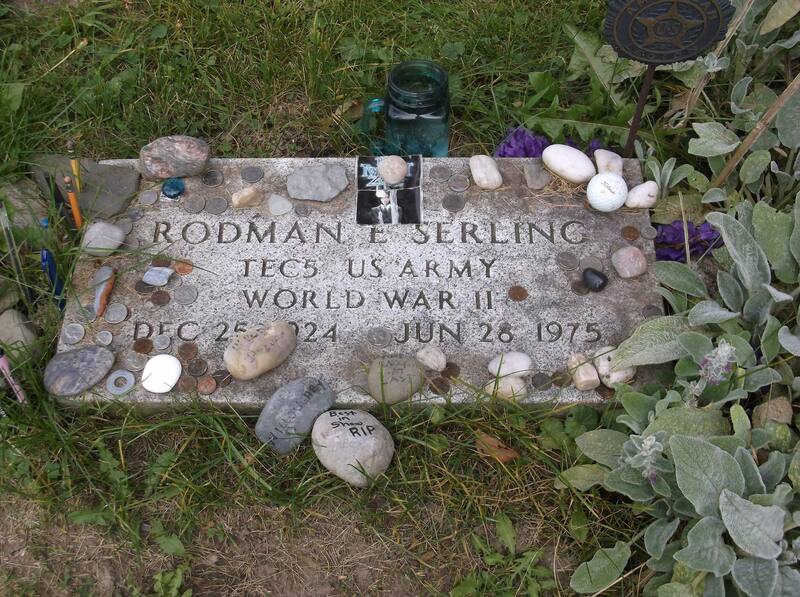 Even though we got slightly off track on our way to the museum that delayed us an hour, it was still early enough in the day to head over to Interlaken to see if we could find the grave of one of my writing idols, Rod Serling. We did. It was a lot more emotional than I ever imagined. We ended the day stopping for ice cream. Vacation also included putting some flashing on the front porch, but mostly just relaxing around the homestead, sleeping in, and having time together. 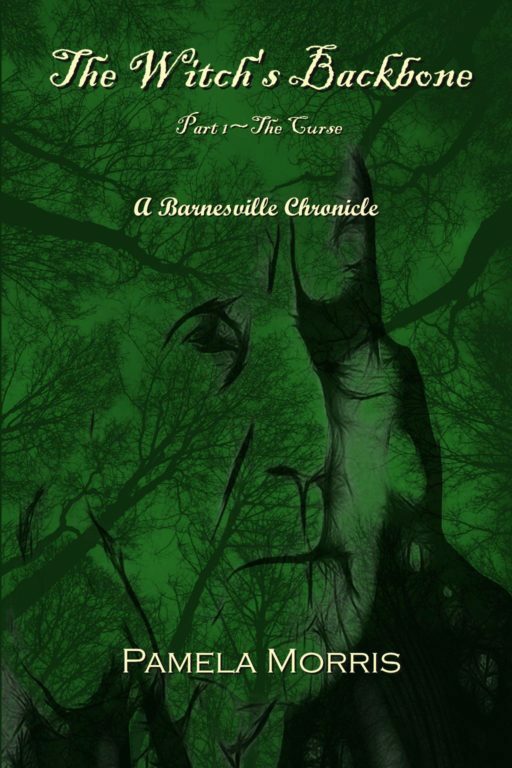 Throughout August and September we worked on getting The Witch’s Backbone 1: The Curse ready for release along with some minor updates on the covers for the other two Barnesville Chronicles, Secrets of The Scarecrow Moon and That’s What Shadows Are Made Of. And this is where the majority of my stress was generated. I desperately wanted TWB1-TC to be ready for my signing event on October 6th for Owego’s First Friday Art Walk. The covers were just not turning out over and over again. Time was running very short, but it did happen and I had copies in hand barely in time. *phew* The turnout at Riverow Bookshop was pretty good, too. Also in October, there was an attempt at another podcast appearance, this time over at Experiences Within The Light, but my phone died all of 15 minutes into our chat. We’re going to reschedule as soon as possible! Layered in with that was a request for me to write a foreword for another writer (I said yes), being asked to write a blog for another author’s website (I said yes), and being asked if I’d be interested in writing movie and/or book reviews for another site (I said yes). Plus, I still wanted keep posting on my own website once a week and had interviews to send out, process, and post. Yes, indeed, stress that was pretty much of my own creation, but if I want to kick this writing gig into gear, I have to get out there and get my name and work known as much as I can. More details on all that once they come into fruition. They are all works-in-progress at the moment. In the past couple of days, fellow writer and friend Thomas S. Gunther put me in the spotlight. I had no idea what he was up to when he messaged me and asked for some biographical info. I sure didn’t expect what he posted. Wow. It certainly made my day with his feature Writers In Review post. Today, Becky Narron of Roadie Notes posted an interview I did for her late last week. Amongst it all, I still try to get on with the writing of The Witch’s Backbone 2: The Murder. I’ve signed up to do NaNoWriMo again starting November 1st and am hoping it will push me a bit harder to get more of it done. I’ve already jumped the 37K word count on it, but I can use all the help I can get to get it done in a timely manner. I’m hoping for around 100K words on it. Even though we’re not yet into November, I’m already starting to reach out to some fellow authors to get them on my list of interviewees for 2018. The long-awaited release of Dark Hollow Road is coming in 2018, too. It’s a psychological horror that made even me question where the material was arising from in my psyche. 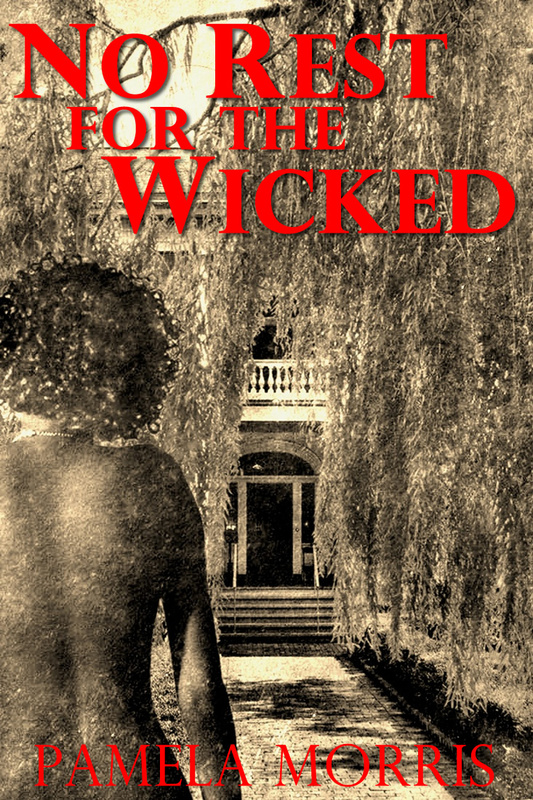 If you like your horror more on the taboo side, where the monster is all-together human, you’re going to love this one. We’re going to explore a seemingly-empty old house in the Pennsylvania countryside and learn all about the last person who lived there. It may just change your mind about urban spelunking. I know it did mine! Keep an eye out for future announcements on this one. And there you have it, all the updating that’s fit to print. Like I said, I’ve been busy. The stress may not have been enjoyable at the time, but it’s worth it once I have an end result I can be proud of enough to share with others. Be well, all, and thanks for reading! A few months ago a co-worker asked me to look over his manuscript. I foolishly told him I would. I knew he was writing what he said was a novel last fall. Four months later he announced it was done! Whoa, Nelly! That was fast. Turns out this ‘novel’ is really a short story. So, as I’d said I would, I started to look over what he’d done. It’s a good concept and I went through the first two chapters jotting down suggestions and the like and gave those two chapter to him to look over. It was then that he told me that only had he NOT yet even read over what he’d given me and that it was a first draft BUT! that he, personally doesn’t read fiction. Stephen King has a great quote out there that is something like “If you don’t have the time to read you don’t have the time (or tools) to write.” The admission that my co-worker doesn’t read fiction explained everything about the faults in his manuscript. I would like to finish the task as I told him I would but I’m not sure if it’s worth the time or effort. It would be like someone deciding they are going to start a band if they have never even listened to the sort of music they want to play. Another friend of mine had an art show opening this past Friday. We stopped in for a few minutes. I’d seen her work before and knew she was good so there were no surprises there. Unfortunately, the space was a big tight and I started to feel claustrophobic way too soon. Besides, I’m no good at mingling and making small talk about art. Its one of those subjective things. One man’s fine art is another man’s baby spit up on canvas. Still, I wanted to show her my support and made the effort to visit, albeit, briefly. We went off to explore some of the other art shows and music stuff going on after. I’ve bought the books and artwork and etc of other creative friends to show them my support for their efforts. Even if I didn’t later care for the music or book after I had a listen or read more deeply. I do have some talented writer friends, one is my cousin. We’ve had a lot of fun exchanging short story ideas and acting as readers and proofreaders for each others stuff. I encourage her every chance I get. Sadly, I don’t see her too much anymore since she moved. I have no idea if she’s bought my book. I’ve been trying hard to write as often as possible but this weekend I didn’t even care. I planted herbs seeds and did yard work instead. It needed to be done, that is true, but I know I should have written something! I should have at least opened the file and re-read what I’d written earlier in the week for a quick proofread. It feels like my Muse has recently crawled into a deep, dark hole and doesn’t want to emerge all of a sudden. I’m pretty sure the recent life changes have something to do with that. Even when you have very positive life changes, it requires some adjusting. When I’m stressed, my Muse shuts down just when I need her most to distract me and keep me from worrying about every little thing. It’s also been a very slow week over on my Facebook page. I’m not feeling ‘the Love’ as it were, like I was plus as I near completion of the next novel, the stress of searching for a publisher is weighing very heavily on my mind and soul. I try to be positive about it. I try to believe in myself and what I want to be when I grow up. It’s not always easy but I hope I don’t have too many more of these wordless weekends. It’s not good for me. Sat outside on my porch for a few minutes this afternoon. It was the first time I’ve done so this year what with the freakin’ white shite and cold refusing to go away. Watched the honey bees bopping around the purple and white crocuses for a spell. Decided to make my first jaunt around the yard to see what sort of clean-up was in order. Looks like A Whole Lotta Rakin’ will be going on. Around back is the herb garden. Chives are coming up as are the Egyptian Onions. I’m sure the Chocolate Mint will make a roarin’ come back as well. The rest, the rosemary, cilantro, camomile and basil remain a mystery. I think I’ll be adding some parsley this time around. No sage or thyme though. There will be a lovely little beer pool set up for the slugs, too. They do so love their cheap beer and I am happy to oblige them that indulgence. The rest of the yard mainly needs only to have a few small, fallen tree limbs hauled to the campfire pile. Maybe we’ll actually have a campfire this year. Didn’t last year and I really missed doing that. My clothesline needs re-stringing, too, especially now that my 20+ year old dryer bit the big one last month. I hope this doesn’t sound like a lot of whining. It’s just the opposite. I’m tired of being inside day in and day out. I don’t consider myself an outdoorsy type, but damn… I’m sure getting tired of exchanging one set of four walls for another. My front, kitchen and back doors are begging to be left open. My bedroom window yearns to be raised. I want fresh air!!! FRESH AIR!!!!!! !